Kettlebell Therapy is dedicated to the clinical excellence and promotion Preventive Therapy, Fitness, and, Health & Wellness through the use of kettlebells and Physical Therapy. The experts at Kettlebell Therapy specialize in integrating kettlebells and Physical Therapy to create long lasting improvements in your tissue function to boost your health and make you well. Along with kettbell exercise, Kettlebell Therapy also includes Physical Therapy techniques such as neuromuscular re-education, therapeutic & corrective exercise, and manual therapy. Additionally, the experts of Kettlebell Therapy are available for fitness, health and wellness, personal training, home health visits, special engagements, traveling lectures, and consultations. Dr. Ben Fung, PT, DPT is a licensed Physical Therapist in the state of California who earned his Doctor of Physical Therapy degree with honors, graduating at the top 99.95% of national academics. 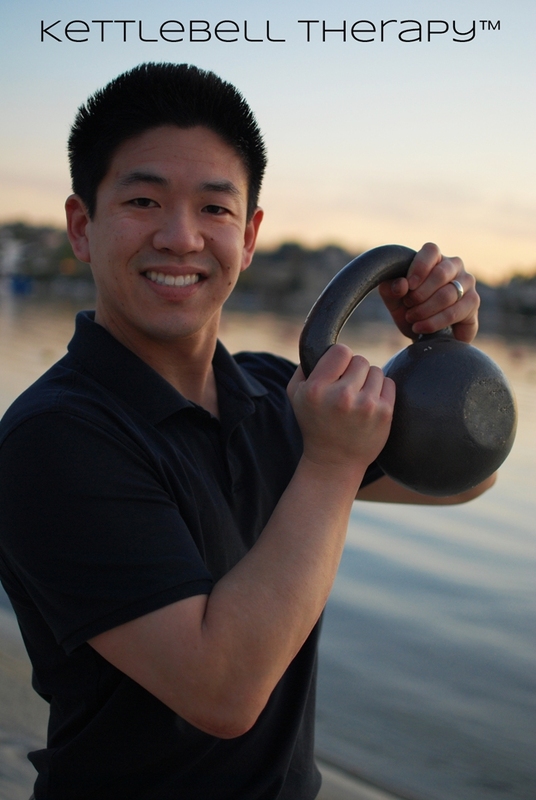 Dr. Fung’s thesis on kettlebell exercise was presented and published by the American College of Sports Medicine in 2010. In addition to lecturing at national health conferences on the science of kettlebell exercise, Dr. Fung founded “Kettlebell and Physiokinetic Fitness” which went on to become a San Diego 2011 “Best Alternative Exercise Studio” Finalist in its opening year. In becoming a Doctor of Physical Therapy, Dr. Fung received advanced clinical training in the differential diagnosis of multiple systems to prescribe Physical Therapy rehabilitation, prevention, and fitness/health/wellness programs by utilizing skills and education including: physical diagnosis of musculoskeletal, neuromuscular, integumentary, and cardiopulmonary systems, clinical pharmacology, diagnostic imaging, anatomy, cellular histology, neuroscience, kinesiology, physiology, exercise physiology, pathology, psycho-social factors, and evidenced based practice.